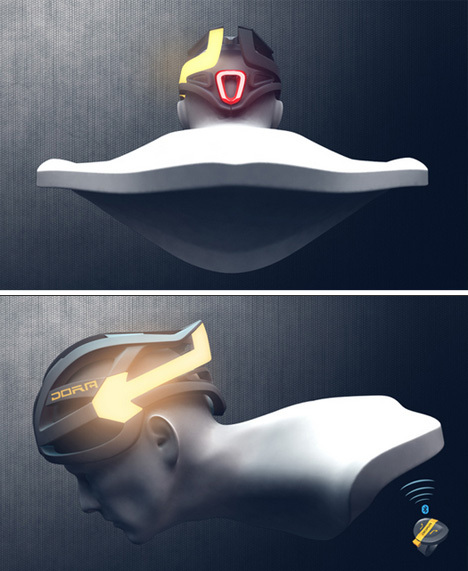 Bicyclists need this. Incredible design is not just about looking good (which this does) or working well (which this does), but weaving the solution so that each seems the natural outcome of the other. 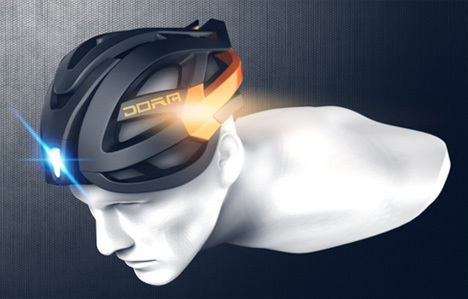 With a headlight on the front, break light on the back, and two swooping turn signals on the sides, this streamlined helmet (the result of numerous design iterations) puts signalling up high for maximum visibility and uses universally recognizable symbols and colors for clear communication. 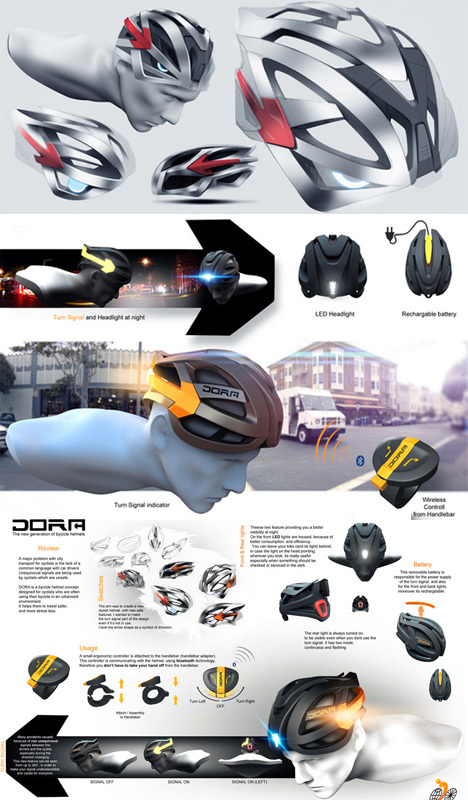 Balázs Filczer created this award-winning (IBDC 2013 – International Bicycle Design Competition) design with both style and everyday usability in mind. A Bluetooth handlebar controller lets the rider signal changes as simply and easily as possible. Rechargeable batteries slide into and pop out of the top for easy charging. And the four built-in lights are not just classy (helpful in promoting actual adoption) but useful as well.